Skilled labor shortages are a big pain point for manufacturers. Without the right people to get the work done, manufacturers struggle to fill their orders and meet their customers’ needs. The Wall Street Journal reported that the number of unfilled jobs in the manufacturing sector “averaged 353,000 a month” in 2016, and manufacturers are looking for new ways to close that gap. Turning to one underrepresented group in the industry’s labor pool may be one solution. Even though women make up about half of the general workforce, they make up only about 30% of the manufacturing workforce—and their numbers have been going down in that sector in recent years. A 2013 study revealed that even though U.S. manufacturing jobs increased by 517,000, during that same period women lost more manufacturing jobs than they gained. By focusing on getting more women and girls interested in STEM (science, technology, engineering and math) fields, manufacturers may be able to close the gaps in equality and labor shortages. 1. The industry needs to change the public perception of manufacturing jobs. Women may be reluctant to pursue careers in manufacturing because they perceive that industry as male-oriented, inflexible for parents (especially working mothers), and full of jobs that are often dirty, unskilled and labor-intensive. However, this is a very outdated stereotype. The majority of new jobs in manufacturing are technology-based, pay six figures and involve interesting and rewarding work. 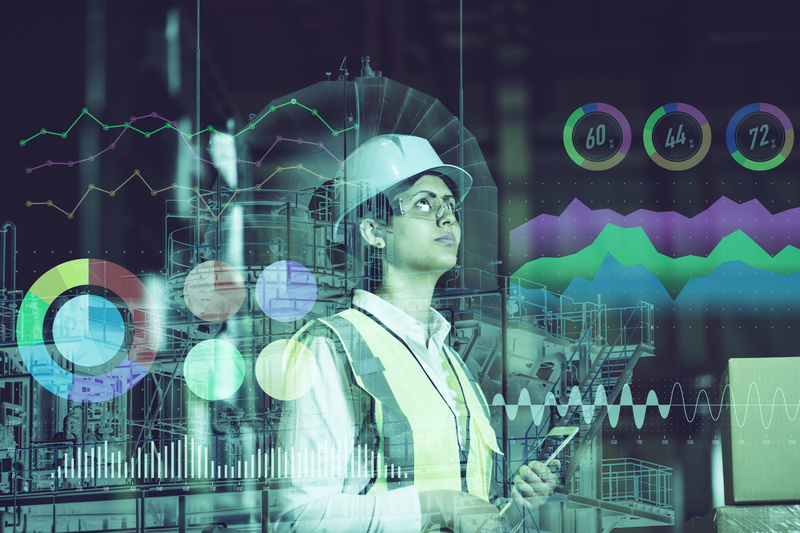 When asked their top reasons for staying in manufacturing, women in these positions often point to their compensation and to opportunities for challenging assignments. 2. The industry needs to view women in manufacturing as good for business. A study by Catalyst, a nonprofit organization dedicated to expanding opportunities for women in business, found organizations that achieve diversity in their management and corporate boards had stronger financials than their competition. Research by Columbia Business School and the University of Maryland also found that organizations with women in top positions enjoyed better performance and increased innovation. 3. Support girls in their pursuit of STEM studies. In order to bring more women into the science, technology, engineering and math fields that make up the foundation of new jobs in manufacturing, the industry needs to work to get them interested in those areas during their formative years of K–12 education. Industry representatives can support these efforts by becoming mentors to girls in their communities, inviting girl-focused science clubs to visit manufacturing plants, and offering summer internships or “shadowing” programs to expose girls and women to different STEM-based career options. By encouraging future generations of women in business, manufacturers can ensure their business success in the years to come.